Is this possible to assign two calculation values to a signle item? On another note, is there an option to give an answer two different numeric values? Say that i want a price for installation added to one calculation, and a monthly price added to a second calculation? They would be tied to the same answer, but the output would be two different calculations. There is no way to assign multiple calculation values to a single item. 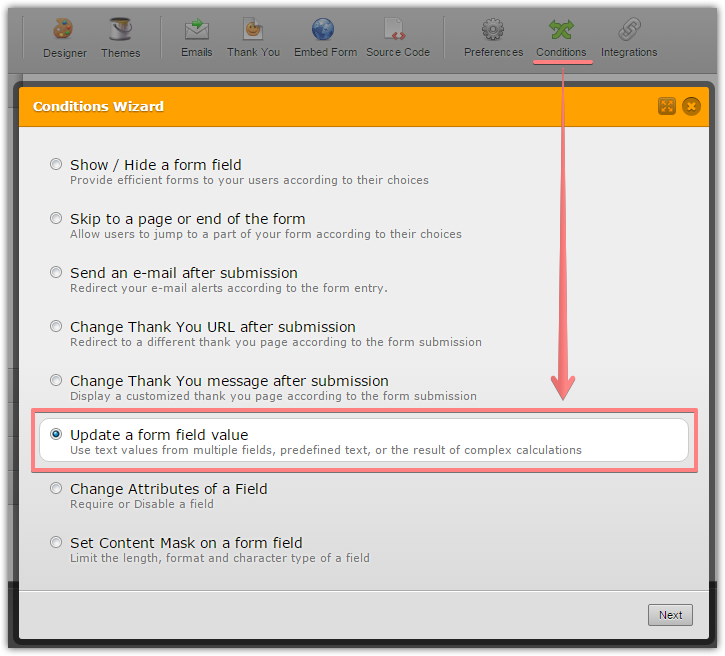 The work around that you might consider is 'Update a form field value' conditions which can be used to assign / calculate the values.